See [video] of Rb vapour in pumping cell. See [video] of production and application of hyperpoilarized xenon. The production of hyperpolarized xenon is based on spin exchange optical pumping (SEOP) and is performed with our in-house developped LEIPNIX (Laser Enabled Increase of Polarization for Nuclei of Imprisoned Xenon) polarizer. 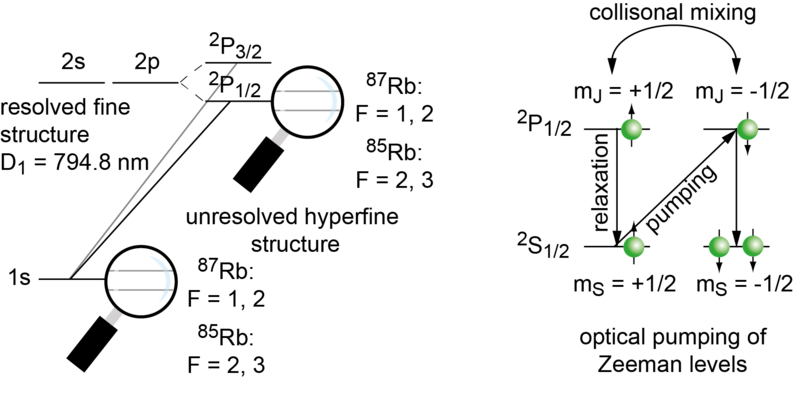 The D1 transition of rubidium vapor in a glass cell is pumped with a diode laser emitting at 795 nm. Together with a static magnetic field of ca. 20 G this allows to achieve a high electron spin polarization according to the selection rules. 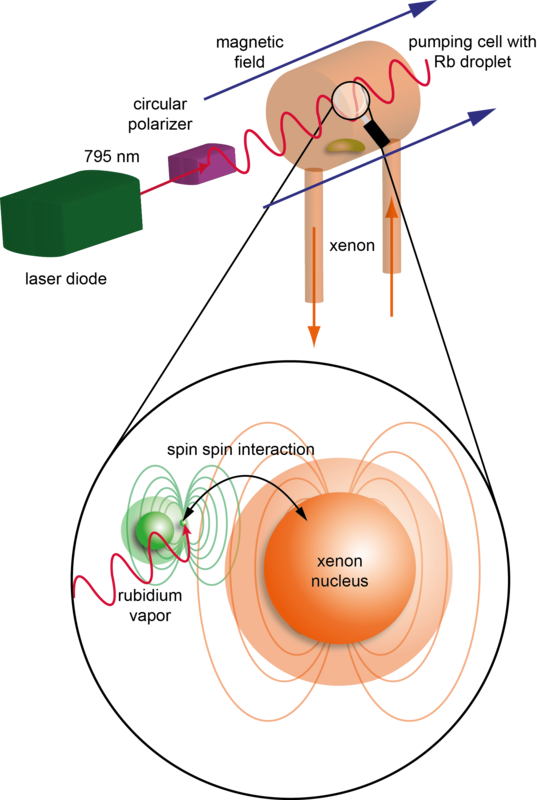 Xenon gas flowing through the pumping cell picks up this polarization through the Fermi contact interaction between the Rb electron and the Xe nucleus.